Whenever we come into contact with anybody, we start to analyze them and try to understand their personality. Most of us do this subconsciously, but we actually base a lot of our decisions on the amateur psychology we unwittingly engage in. Personality psychologists do the same thing, albeit on a more professional level. Our amateur psychology efforts talk about individuals, but psychologists actually use concepts that they can apply to everybody. 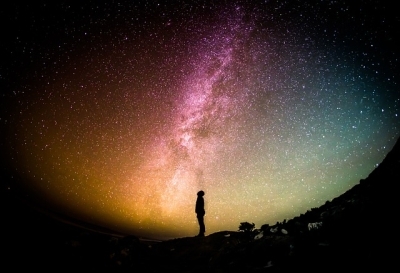 By studying personalities, a range of different hypotheses have been created that are designed to tell us why we have certain personality traits. There are hundreds of personality theories. However, before looking into these, it is important to understand just what personality is. Basically, it is the pattern of our thoughts, our behaviors and our feelings. The combination of these makes us individuals. Personality is something that stays with us forever and it makes us respond in similar ways whenever we come across specific situations. Personality is found within individuals and is a constant factor throughout life. It is developed through genetic make up, but also through life experiences – nature and nurture. Personality develops very early on and is seen as more than just behaviors. It describes the characteristics that make people unique. Consistence – behavioral patterns usually happen in a a certain way. Basically, different scenarios will create a certain type of behavior in men and women, and the same scenario would result in the same behavior every time. Psychological and physiological – Usually, personality is created psychologically. However, natural processes and needs – physiological factors – also influence how it is built. Behaviors and actions – Our personality doesn’t just determine how we move and how we respond to environmental factors. It also makes us behave in specific ways. We develop our own perspective on things and this perspective is completely unique. Because of the environment we grow up in and the influences we come across, our personality becomes different. A range of expressions – Our personality shines through in ways other than behavior as well. It shines through in how we think, what we feel and what sort of relationships we build. The evolution of personality is not exactly known yet, although various theories exist. One of these theories is the type theory. This is an earlier perspective on personality, saying that there are only very few types of personality in existence and that these are linked to our biology. Trait theories, on the other hand, feel that personality evolves through genetically centered characteristics. Then, there are the psychodynamic theories, of which Sigmund Freud is the forefather. This theory works on how much our unconscious affects the development of personality. Freud focused mainly on psychosexual theories, whereas Erik Erikson worked on psychosocial development. Behavioral theories suggest that the way individuals interact with their environment develop personality. They look for behaviors that can be both observed and measured, but do not take into consideration thoughts and feelings. Some of the better known behavioral psychologists include John B. Watson and B.F. Skinner. Lastly, there are the humanist concepts. They focus on how important the role of free will is and believe our personality develops through individual experiences. Abraham Maslow and Carl Rogers are probably the most famous humanist psychologist. 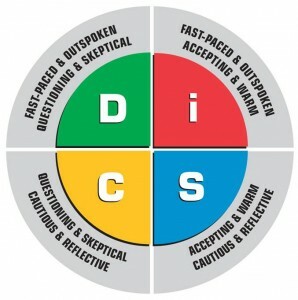 By using a DiSC Personality Test, we can understand how human experience influences us. The tool is incredibly powerful, yet easy to understand. It brings some simplicity to the complex concept of behavior. The assessment is not a clinical insight into the psyche of individuals. However, they allow self-scoring and self-interpretation because the system believes that individuals are experts on themselves. Hence, it doesn’t require any psychological training. Anybody who wants to gain insight into themselves in a language that they can understand can use the tool. DiSC is not so much about finding out how you see yourself and your environment, but more about learning how you feel and behave in specific situations. When you change how you perceive a situation, your behavior can change with it. However, a lot of behavior will be consistent across various situations. DiSC measures behavior, but personality as well. It describes and measures behavior because it is part of your personality. Your behavior, as such, expresses your personality. The assessment will allow you to have debates and discussions about specific behaviors, because it is easy to change or adapt how you respond. Changing personality, however, is almost impossible. What DiSC can do is teach you how to express your personality in a different manner. Essentially, it can help you understand interaction and human perception. You will learn the characteristics of each of the styles within DiSC and what your unique preferences are. You will also learn how your behavior can be misread by others, as well as learning how you can change your communication so that the needs of others are met more fully. The language used by DiSC is free from jargon and doesn’t judge. It explores your behavior according to four dimensions: Dominance, Influence, Steadiness and Conscientiousness (DiSC). You will learn about yourself, understand how other people are different and find out how to improve the way you communicate. This leads to fewer conflicts, better performance (particularly in the workplace) and much more personal satisfaction. The tool is equally beneficial for groups who need to learn to communicate about issues rather than personality conflicts. This entry was posted in DiSC Personality Test and tagged DiSC Personality Test on 11/19/2018 by Steve Giles.